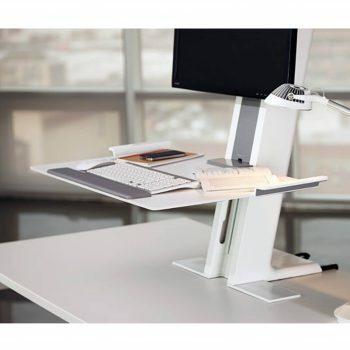 QuickStand Series - Humanscale | Arthur P. O'Hara, Inc. 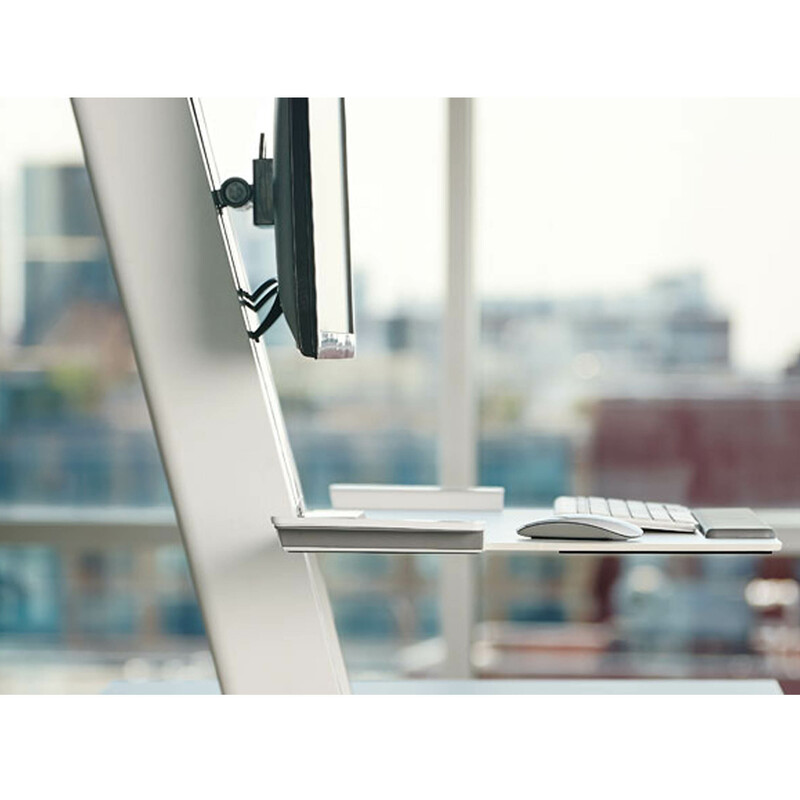 Categories: New Office Furniture, Adjustable Height Standing Desks, Ergonomic Tools. 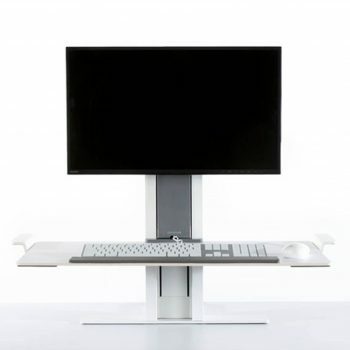 The QuickStand height-adjustable workstation raises the bar for ease of use and stability among sit/stand products. QuickStand seamlessly transforms any fixed-height desk into an active one, promoting collaboration and well-being in the workplace. 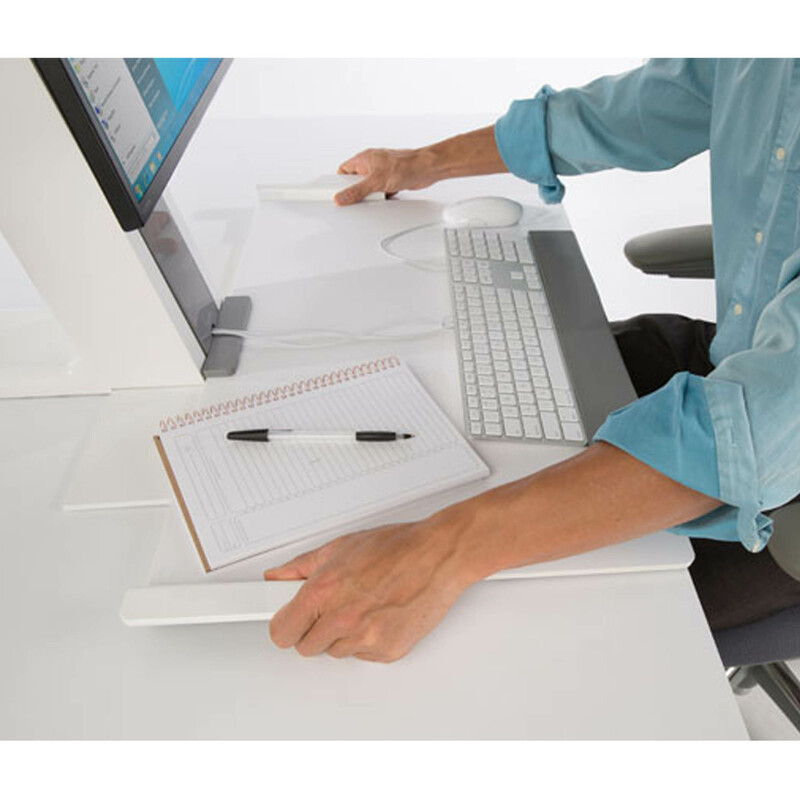 With weightless operation and a plug-and-play cable management system, QuickStand neatly attaches to the back of any work surface, placing the screen and keyboard in an ergonomically correct position for the user.